Are you looking for special vehicle offers and lease deals on new Acura models near Frederick? Find low financing rates, affordable down payments, and other special incentives on a variety of new Acura vehicles, including popular models like the Acura TLX, ILX, RDX, and Acura MDX. Once you’ve found a new vehicle special that seems right for you, use our online payment calculator to get an estimate of your monthly payments. Our dealership is located in Boulder, and you can reach us at (303) 245-6418. 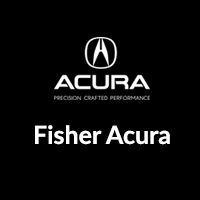 The new Acura specials going on now at Fisher Acura give drivers in Frederick access to a wide range of luxury features at surprisingly accessible prices. So trade in your old car and take home a new luxury sedan or SUV from our dealership in Boulder, where you’ll have access to a professional team of certified Acura technicians and Acura OEM parts.